Kiawah-Seabrook Exchange Club’s Oct. 3 dinner speaker was Jennifer Winchester, Director of Philanthropy at the Charleston Animal Society. She was introduced by exchange members, Laurel and Hank Greer. For over 144 years, Charleston Animal Society has been preventing cruelty to animals. Its vision is one in which all healthy and treatable animals are saved; where all people and animals are treated with respect and kindness. It envisions a world where cruelty is not tolerated. It is the first and only no-kill organization in Charleston. Charleston Animal Society is able to touch the lives of 20,000 animals every year. It strives – every day – to make Charleston not only a No Kill Community, but also a humane community that is safe for families and pets. 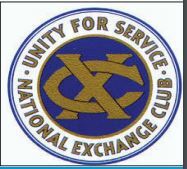 For more information about the Kiawah Seabrook Exchange Club visit KS-ExchangeClub.com.